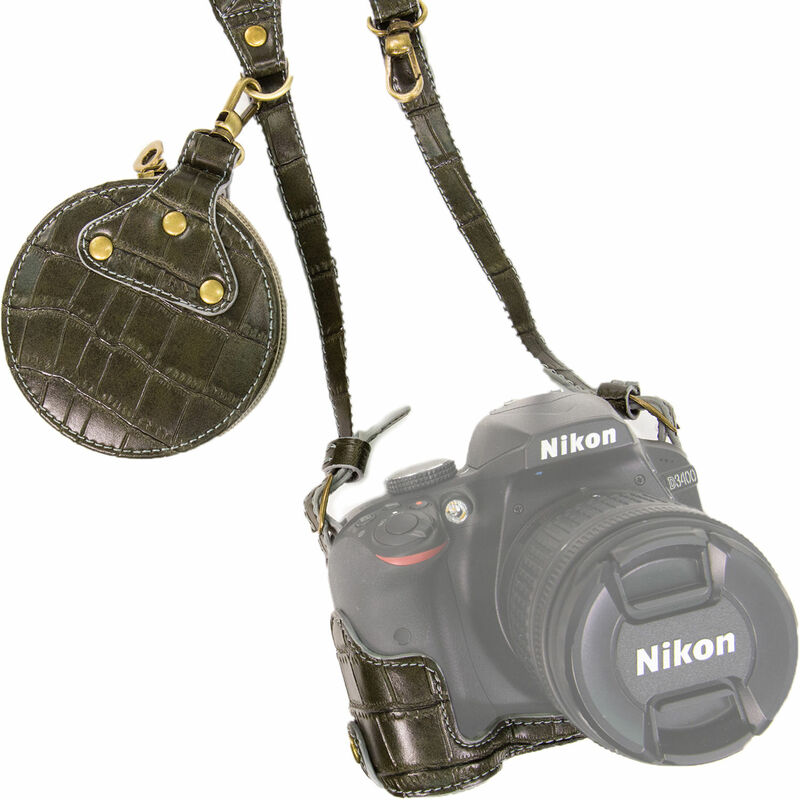 Carry your Nikon D3400, D3300, D3200, or D3100 camera in the green Ever Ready PU Leather Half Case with Shoulder Strap, from MegaGear. The case has a bottom opening with snap closure for battery compartment access. Attach the case with the tripod-friendly bottom screw. Included with the case are a shoulder strap and a strap storage case.